If you're looking for some 'serious fun', come Quad Biking. 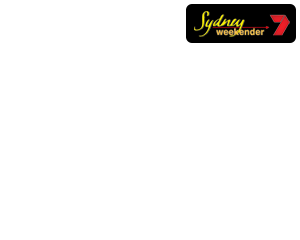 An easy drive from Sydney, multiple start times weekends and weekdays. The ultimate quad biking experience closest to Sydney! This fully guided track and trail adventure takes you on a scenic trail through 3,000 acres of unspoilt wilderness before taking on our purpose built quad biking circuit with challenging turns & long straights at Australia’s best outdoor adventure destination. You’ll only drive the best quads as we use state of the art Honda 250CC quad bikes, offering our customers the best quads that are renowned for their high quality, reliability and durability. 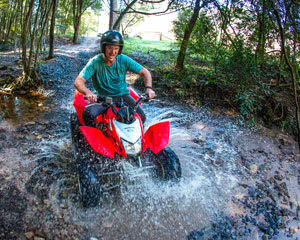 Quad Biking is located only one hour north of Sydney’s CBD, just off the M1 Freeway. There are up to 4 quad bike tours daily, 7 days a week. It’s a 1.5 hour experience. Max group size 14. Minimum numbers apply. As you are hiring equipment from us, each quad bike booking will require a valid credit card number to be provided for security purposes in the event of any damage to the bikes etc (similar to when you hire a car or hotel room, for example). Group bookings for 6 people or more may need to pay a refundable bond (subject to terms and conditions). The bond will be returned less any damage or expenses that may occur. Bonus free photos will be taken on your ride and will be emailed to you after your tour. The Quad Bike ride was awesome. I would recommend it highly. The guides were excellent. We all had a great time. Just Brilliant! Thank you for everything! Superman Richie was a awesome instructor and great all round guy to have as our instructor! Made for a very enjoyable present for my dad and myself! Great family day out. We took along a picnic and it felt like a 1 day holiday yet only 1 and half hours from home. highly recommended. It was a really good fun. The guide J.T. was excellent through out. We enjoyed a lot. Justin at Glenworth Valley was an awesome guide on the Quads!! He was really friendly and understanding even if we were a bit nervous to start Thanks Justin!! Staff were very good. Enjoyed the experience. Was amazingly happy with our quad biking. Our instructors where outstanding and loved ever minute. Very fun and great time. A big shout out to justin who took us through training he was the best instructor we ever had. Would make him employee of the month :)! !